I ripped this bike down to almost nothing and started the rebuild with stretched bags and fender, a Yaffe stretched tank. 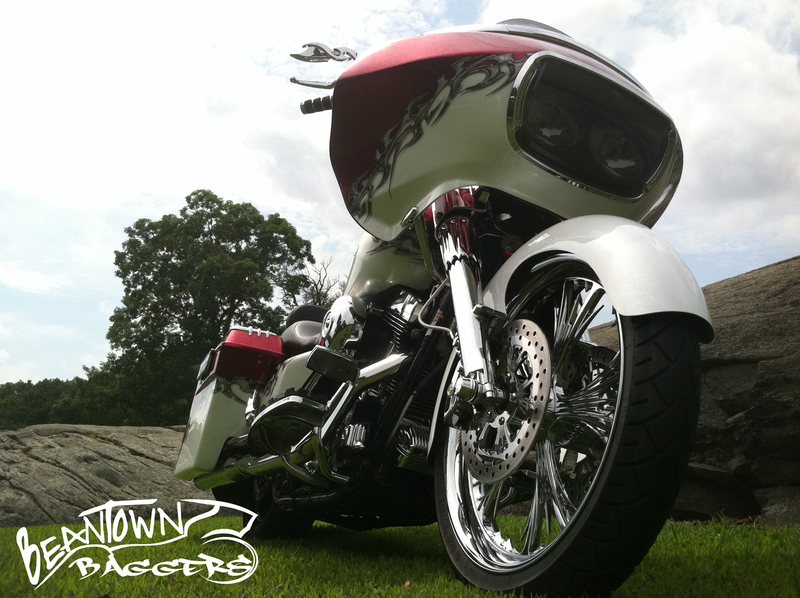 The front fender started off as a 180 fender blank and was cut and shaped. RC Components wheels with Metzeler tires. Rinehart true duals, Dakota Digital gauges, Rockford Fosgate 300 watt amp and 4 speakers in the faring, Mini Apes for bars. Then came the Paint. 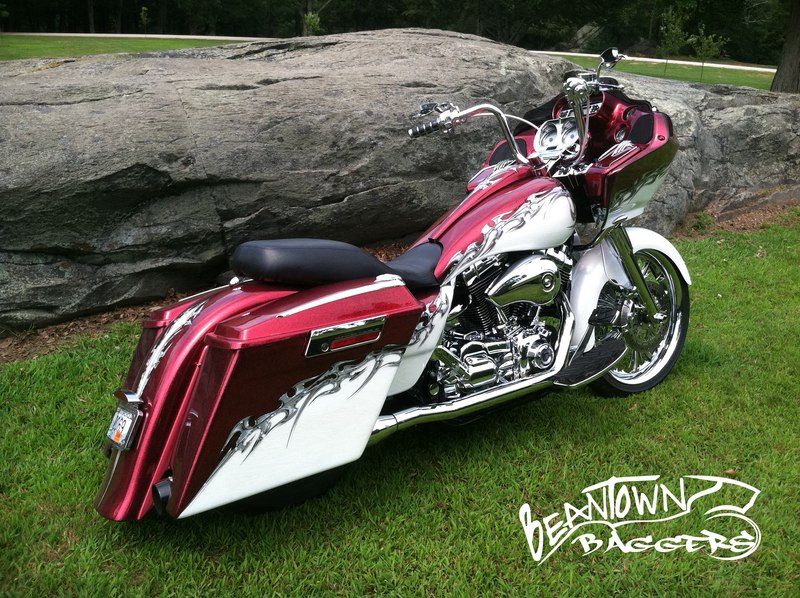 We laid down White marbleized pearl and a heavy red metallic. 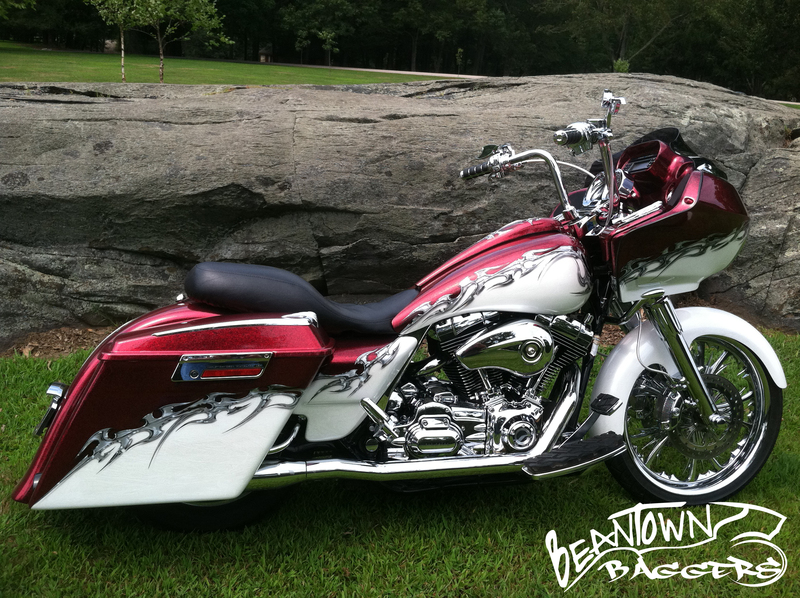 Then Anthony’s Airbrush did the tribal graphics. Cappy Simone and Art are 2 of the greatest “Genuine ” Guys you will ever meet. Top shelf work, honorable, and honest . It don’t get any better than that.